VW Campervan Hire, Conversion and Sales in Sussex. 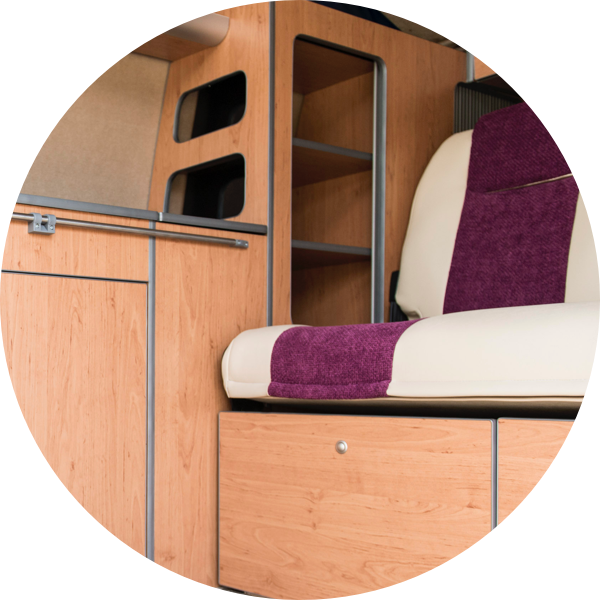 On the hire side of the business our Sportcamper conversions have taken time to develop with the aim of providing the best possible mix of comfort and practicality using high quality components. Our hire campers have elevating roofs with roof bed which move up during the day to enable walking around the camper without stooping. We are in the Camping and Caravanning Club Privilege Dealer Scheme which offers a discount on many sites when you book through us (click on the ‘Find Out More’ button below for details). Use the dropdown on the ‘Campers’ tab to see our competitive rates. 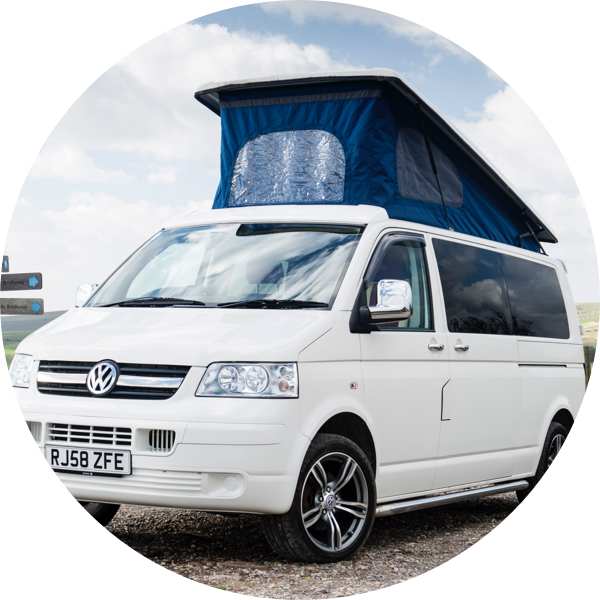 The conversion and sales side of the business has it’s own website – www.j4campers.uk – elevating roof fitting, part or full conversions and sale of high quality campers which have been built in our own workshop. Long Wheelbase T5 provides additional internal space. Our aim is to provide a camper which will allow you to fulfil your experience in comfort – drive your dreams is our strapline because that is what we want you to do. Attention to detail and intelligent use of space provide a high quality custom finish. 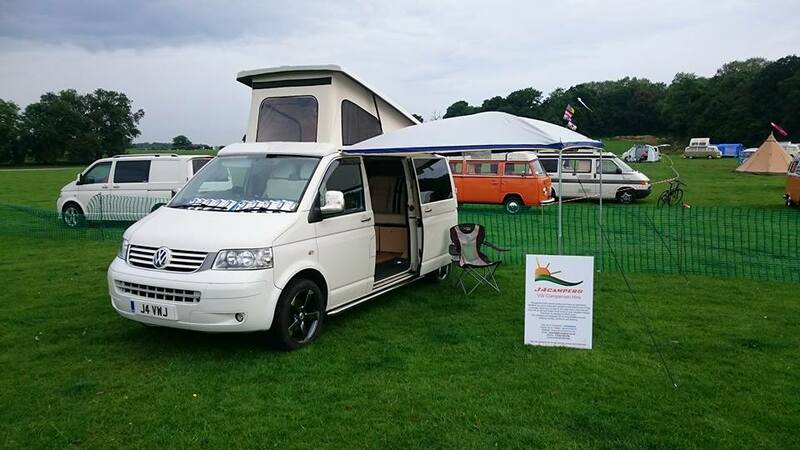 We are a small family run business within the VW camper market. Whether you want to hire a camper for a trip, try one before buying one, have one converted or buy one ready made, our aim is to provide campers which will allow you to fulfil your experience in comfort – Drive Your Dreams is our strapline because that is what we want you to do. Our aim has been to provide the best possible mix of comfort and practicality using high quality components. Attention to detail and intelligent use of space provide a high quality custom finish. We have Privilege membership of The Camping and Caravanning Club which allows you to stay on their sites. Use the Find Out More button to go straight to the C&CC website which shows you the wide range of locations available and details of how to book. Book your dream camper today!